The beard makes the man. 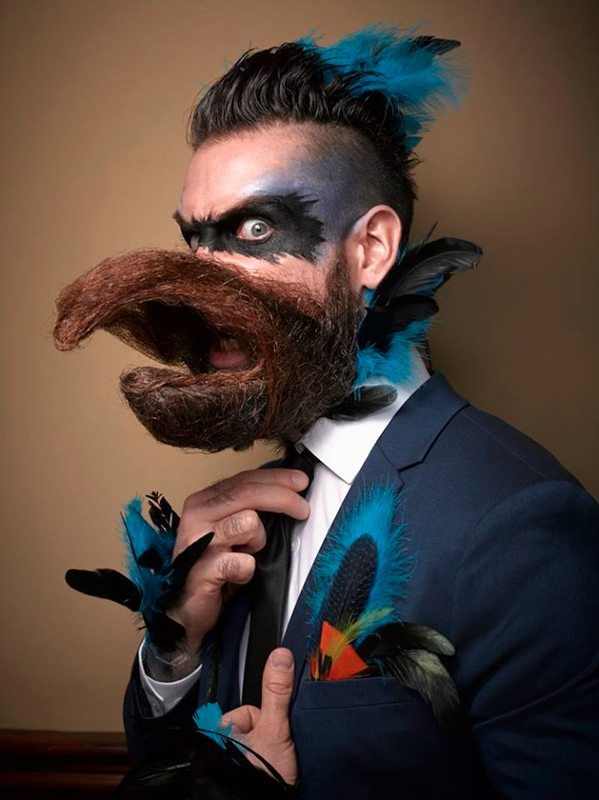 On September 3rd, facial hair took center stage as competitors from all over the country traveled to Nashville to compete in the 2016 Just for Men National Beard and Moustache Championships. 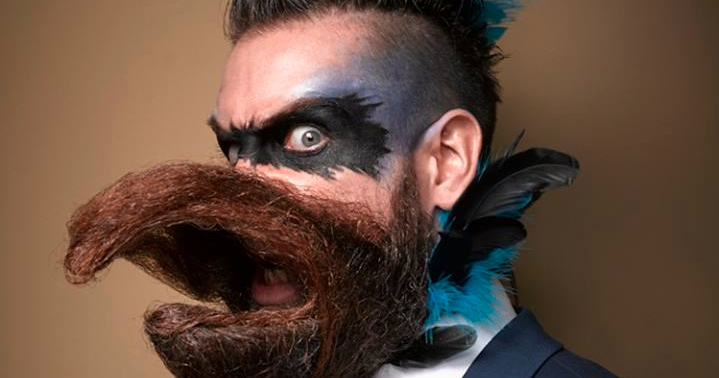 Beard championships have a storied history tracing all the way back to the 1970s. The first truly organized competition took place in 1990 in Höfen/Enz, Germany. 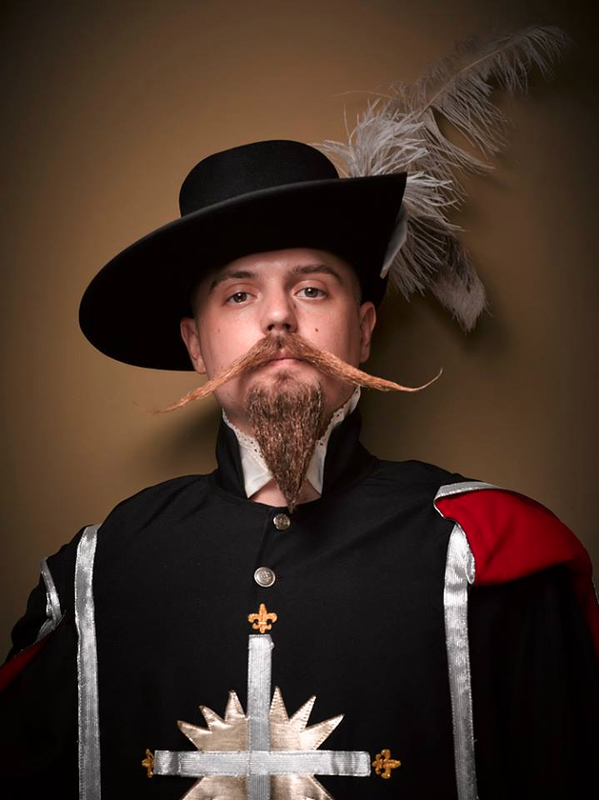 America’s most hirsute men battled it out in 18 different categories such as Musketeer, English Moustache and Full Beard Freestyle. Take a moment to appreciate some of the competition’s most sensational looks. The full beard is best for those who want to just let it grow without styling it. 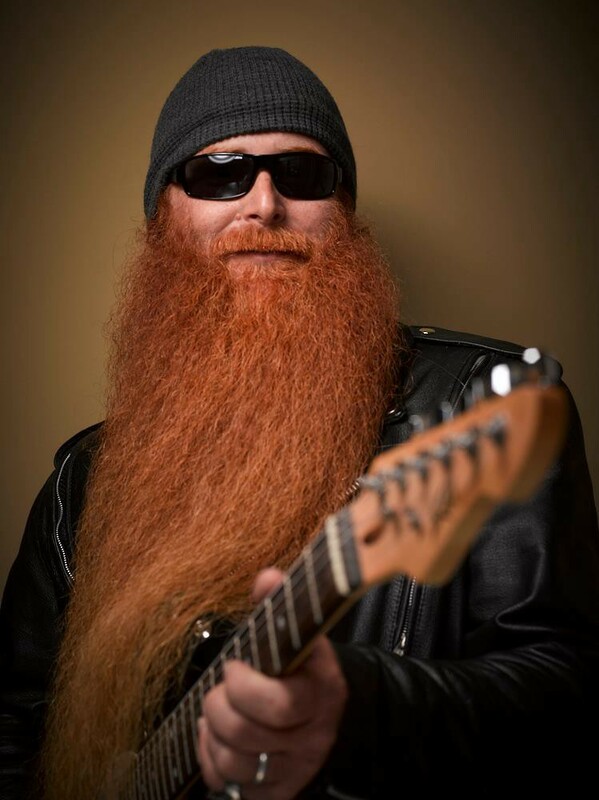 However, growing a full beard while rocking out on the guitar is optional. Benjamin Ratell is rocking the Verdi, a short, round beard that really shows off a well-styled ’stache. Ratell came in 3rd place in this category. The real question is if his son will follow in dad’s footsteps. The English moustache is all about the length. Lucio Battista is one of the top competitors in this category and finished in 2nd place. The musketeer combines a long and slender mustache with a small, pointed beard, as seen here on 1st-place winner Patrick Fette. These whiskers are a perfect fit for a Renaissance man. Second-place winner Stephen Casper’s sideburns would make Elvis Presley proud. Impressed yet? 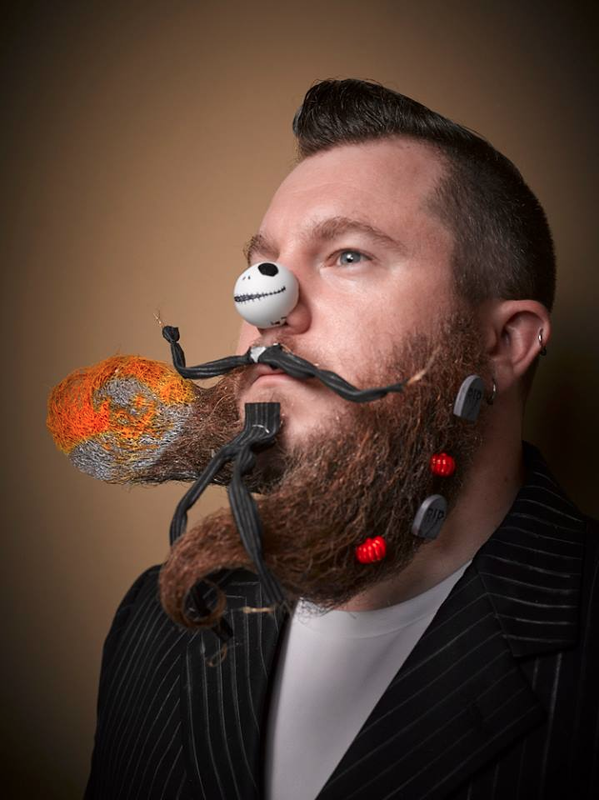 The Imperial Partial Beard covers only the cheeks and upper lip. 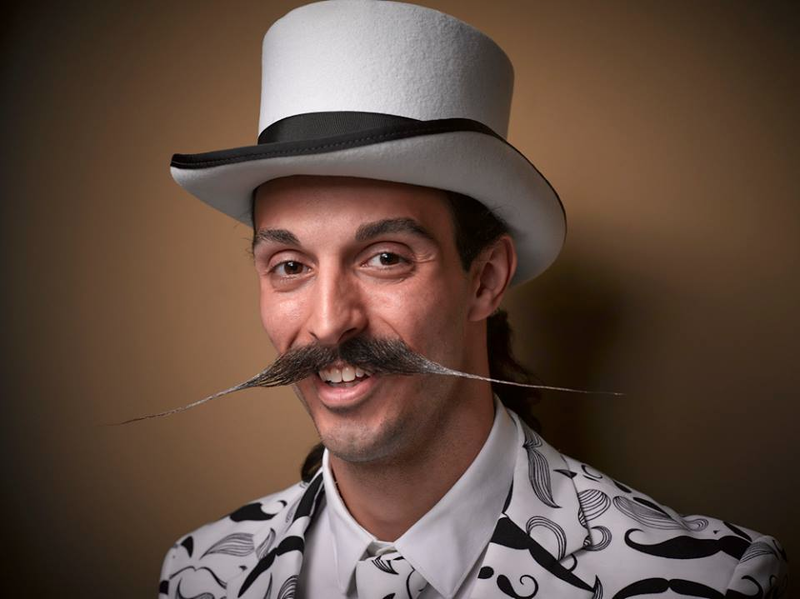 The moustache ends must be pointed upward and not curled—as modeled here by MJ Johnson, a staple at the competition. 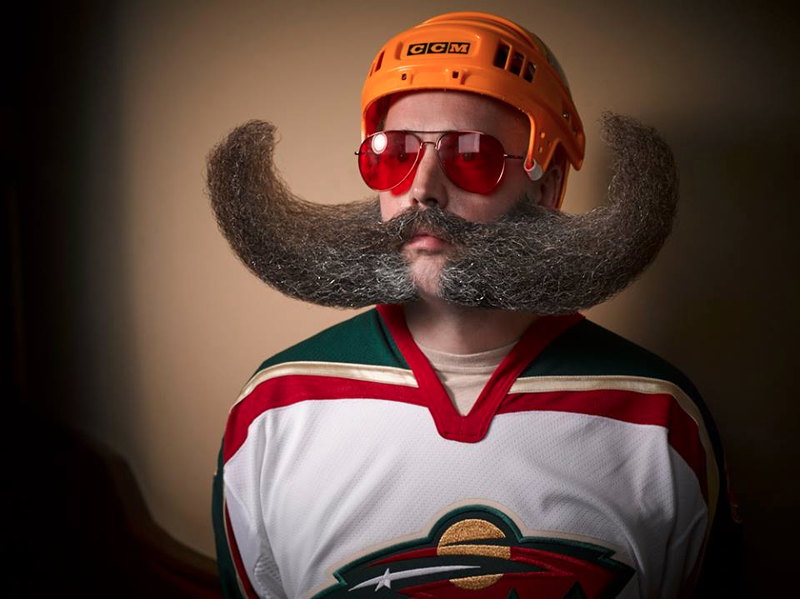 Johnson has been competing in beard competitions for years and is the founder of The Minneapolis Beard & Moustache Club. 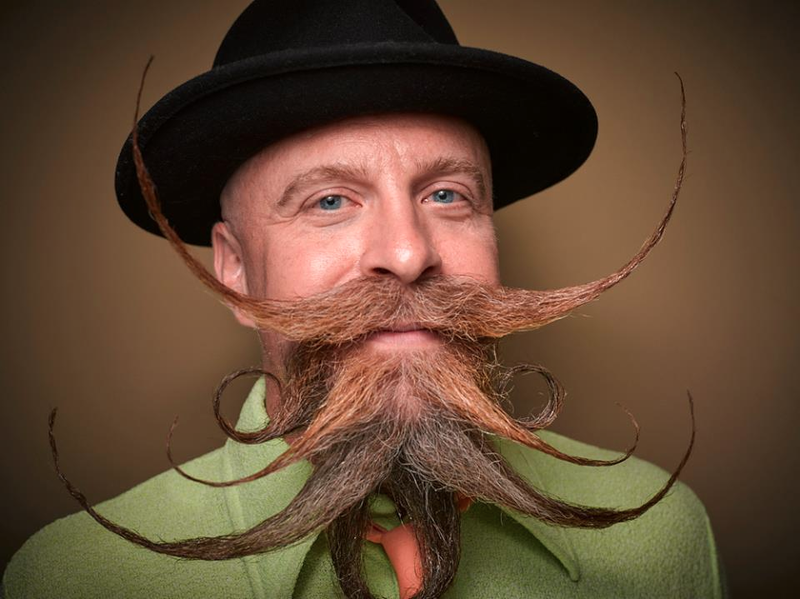 The Partial Beard Freestyle applies to partial beards that do not fit into one specific classification. James McMahon finished 1st in this category. 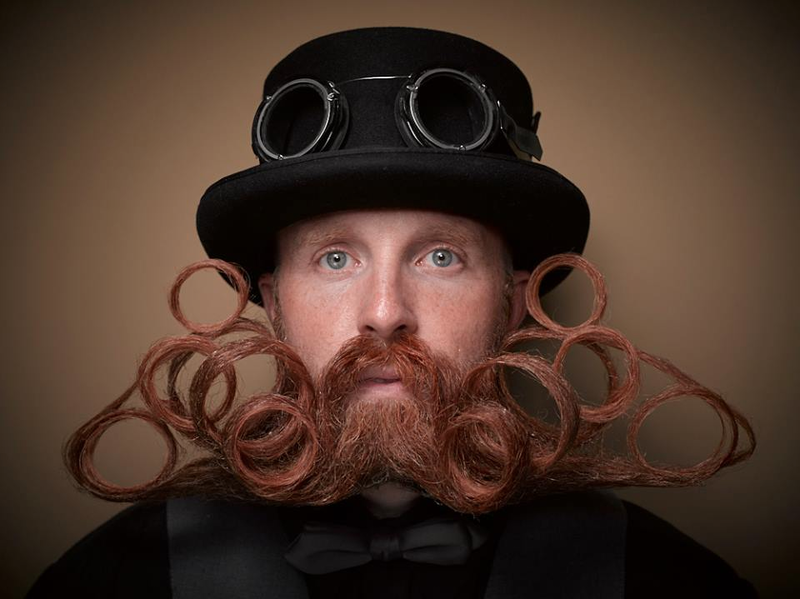 If there was an award for most symmetrical beard, he very well might have won that, too. Has your jaw hit the floor yet? It’s apparent that gentlemen like Adam Gazda, above, do not lack creativity by any means. Isaiah “Incredibeard” Webb took 2nd place in the Full Beard Freestyle. Garey Faulkner took 1st place. This is a picture of Jim Daly, not Steve Martin. 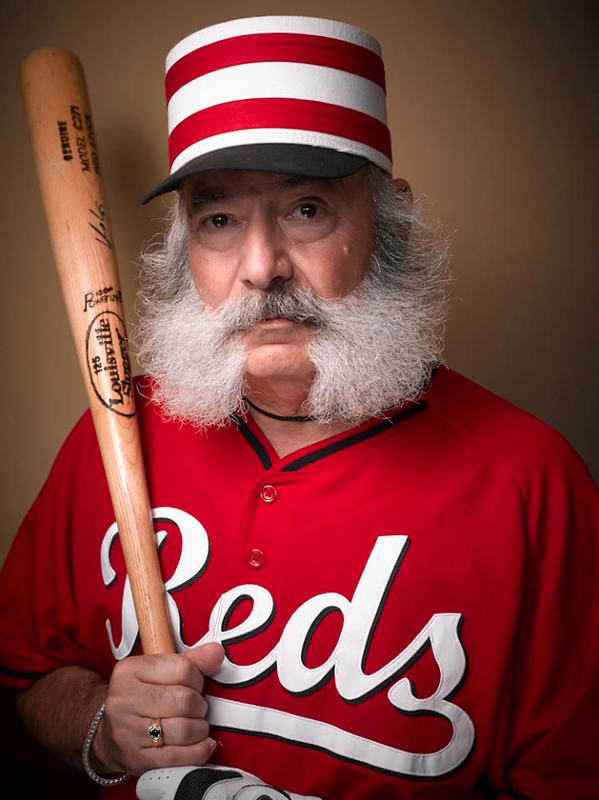 I repeat, this is not a picture of Steve Martin with a beard. 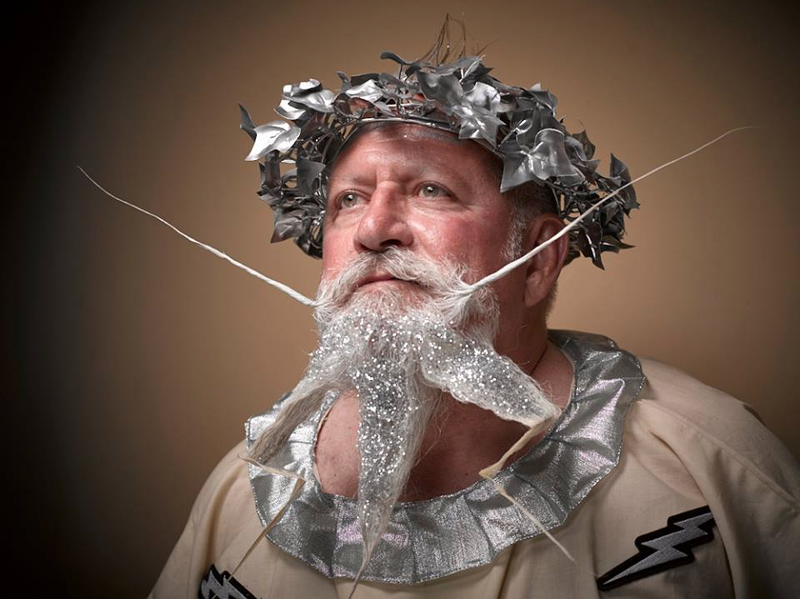 Jeff Carta pays tribute to the Greek Gods. After all was said and done, the overall winner of the competition was Taylor Welden. 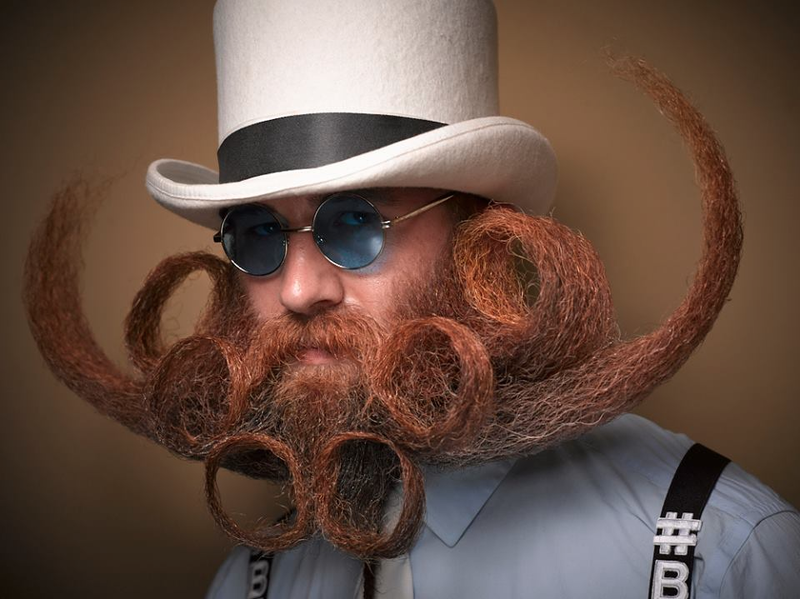 That is a Champion #beard, sir. 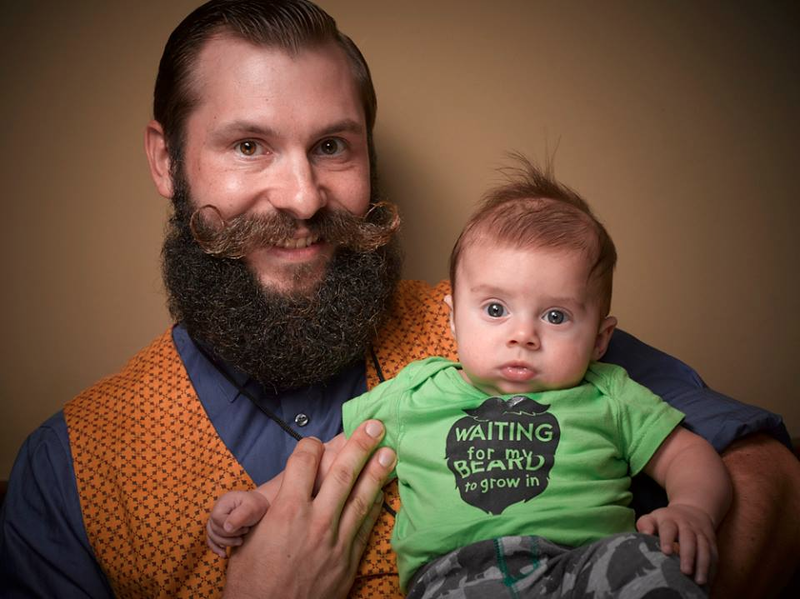 Taylor Welden, @JustForMen #BeardChampsUSA overall winner. ??? 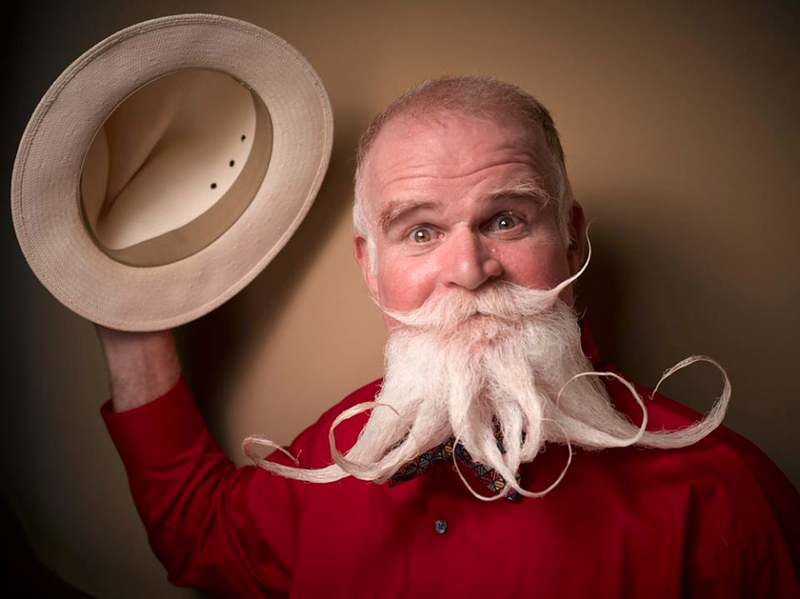 To see more of the entries and learn about the competition, visit Greg Anderson Photography and the competition’s Facebook page, National Beard and Mustache Championships.